In 2018, the NF Network touched the lives of over 1,800 NF families. From NF individuals contacting the NF Network to receive counsel regarding their diagnosis of neurofibromatosis, requesting educational information and NF specialist referrals, to community gatherings and informational meetings, and along with our annual NF Network Advocacy Program visit to Capitol Hill, the NF Network continued our mission-related initiatives “leading NF advocacy” and “building NF community.” With 2018 coming to an end, the NF Network wanted to be ready to serve the 1,600 babies and their families who will receive their diagnosis of neurofibromatosis in 2019. With your kindness and support, our year-end appeal well-surpassed our original goal and inspired an anonymous donor to come forward and match each gift of $100 or more up to $2,500. We could not have done this without YOU! Thanks to you, together we raised $17,643.76! 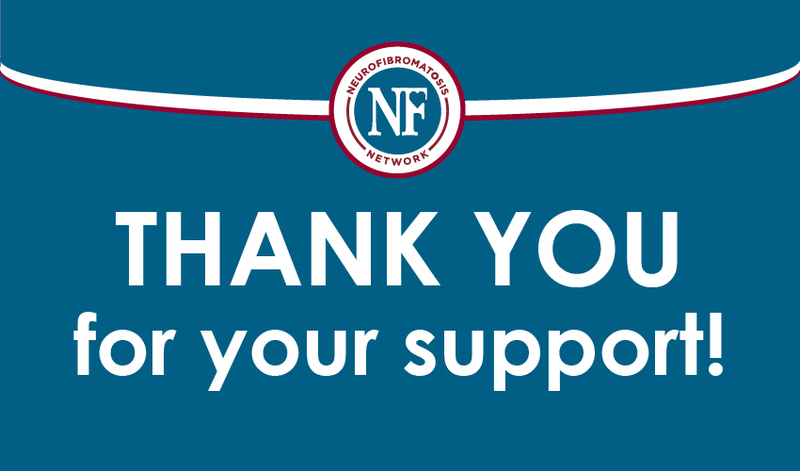 From the bottom of our hearts, we THANK YOU for sharing your compassion and generosity with the NF Network and joining us on this journey as we continue our mission to find treatments and a cure for neurofibromatosis by promoting scientific research, improving clinical care, providing outreach through education and awareness, while offering hope and support to those affected by NF.